Electric washing machines freed women from one of the week's hardest tasks, washing laundry by hand. What once took an entire day of heating water, hand scrubbing, and rinsing, could be done in just a few minutes. Since the introduction of the first electric-powered washer in 1908, washers have gone through many changes and improvements. Whether you have one of the shiny new washers with dozens of cycles from which to select or an older basic model, there are ways to get the best results possible. If your washer has a lint filter, clean it regularly. This will prevent odors and promote better water flow within the washer. If you have just washed a load of clothes that faded significantly, clean the washer before doing the next load of clothes. This will prevent dye transfer. 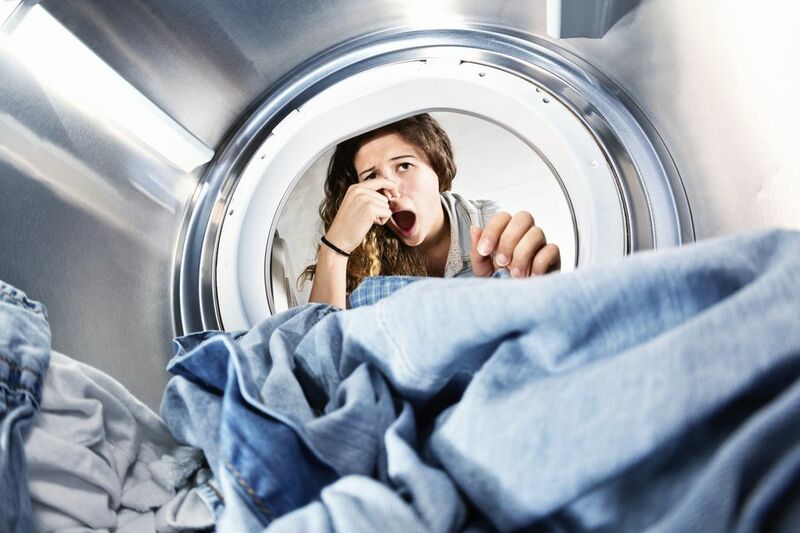 Front-loading washers are prone to odors caused by mildew and detergent build-up. There are commercial cleaners that can be used. Some manufacturers recommend cleaning the washer each month by running a regular cycle with one cup of chlorine bleach to help reduce the risk of mold buildup. Check your owner's manual for their recommendations. If you use a community laundry room or laundromat, always wipe down the top of the washer and any adjacent counters before using. This will prevent problems with spilled detergents, softeners and bleach. Check the washer well for hidden clothes that may bleed dye onto your laundry. Also check for any objects like pens, lip balms or sharp objects that can harm your clothes. One of the best ways to avoid problems is to keep inappropriate items out of the washer. Sharp objects like nails or scissors can not only cause holes in clothes, they can scratch washer drums and jam equipment. Always use High Efficiency (he) detergent in front-loading clothes washers. Regular detergent creates too many suds, which will affect the machine’s washing and rinsing performance. Over time, it can lead to mechanical problems. Keep the washer well-balanced. A washer that "walks" or is off-balance not only makes lots of noise, it causes wear and tear on washer parts. A washer consumes nearly the same about of electrical energy whether a small load is washed or the washer is full. As often as possible, wash a full load to reduce energy costs in the laundry. If your washer has a high spin speed option, you should use it for everything except the most delicate of fabrics. This will remove more water from the clothes and save energy when drying clothes in a dryer. Unless clothes have grease stains, use cold water for washing. Heating water consumes about ninety percent of the energy involved in operating a clothes washer. Just switching water temperature from hot to warm can cut energy use in half. Don't use a high level of water when washing a small load. Too much water prevents proper agitation that helps clean clothes. Don't use too much detergent. Extra detergent does not help clean clothes; it actually can leave clothes looking dull and gray because it redeposits soil onto the clothes.